From the introduction: L.A.C. 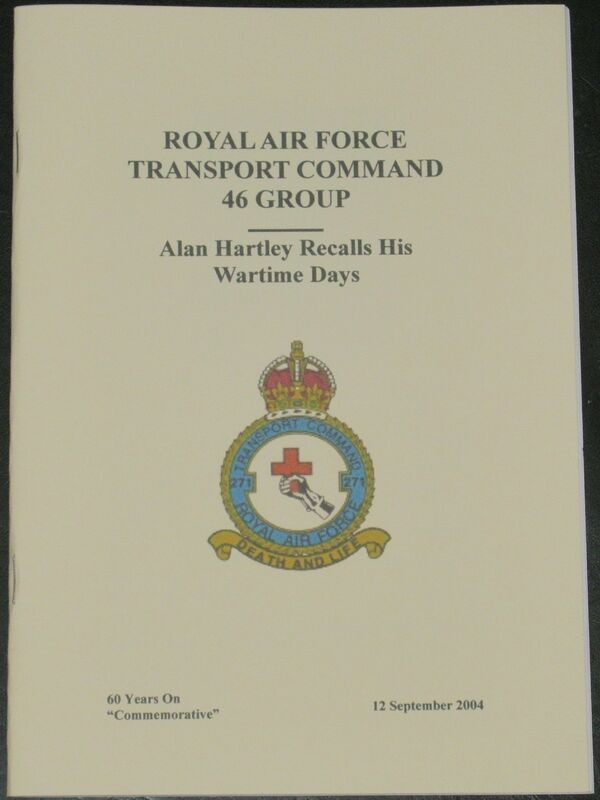 Alan Hartley served as ground crew with 271 Squadron, 46 Group RAF Transport Command. For most of his wartime service with 46 Group Alan was based at Down Ampney, Glos. However, as he explains on the tape, he also served at Blakehill Farm near Cricklade. Alan kindly produced an audiotape at very short notice when Cricklade Historical Society mounted an exhibition in 2001 to tell the story of RAF Blakehill Farm. It makes fascinating listening. He runs through the sequence of events surrounding the activities and assignments of 46 Group from the lead up to the re-invasion of German occupied Europe in June 1944 to the extended supply operations of 1946/47. Then, as the returning armies, together with prisoners of war, were processed and distributed to their homelands and the civilian population adjusted to post war conditions, RAF Transport Command remained in service. 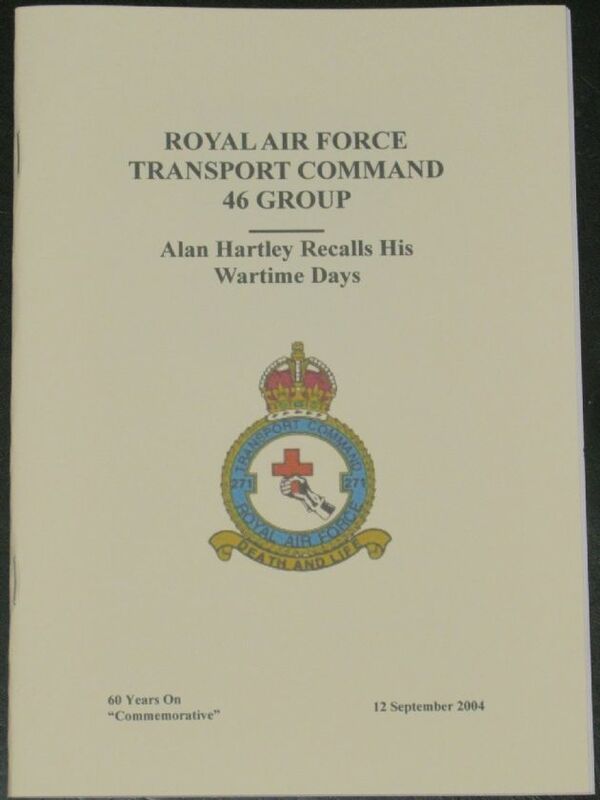 Alan's brief wartime account is divided into sections, and these include RAF Blakehill Farm, An enjoinder from Winston Churchill, Billy 217 Squadron dog, 60 Years on, and Tugs and Gliders to Arnhem.